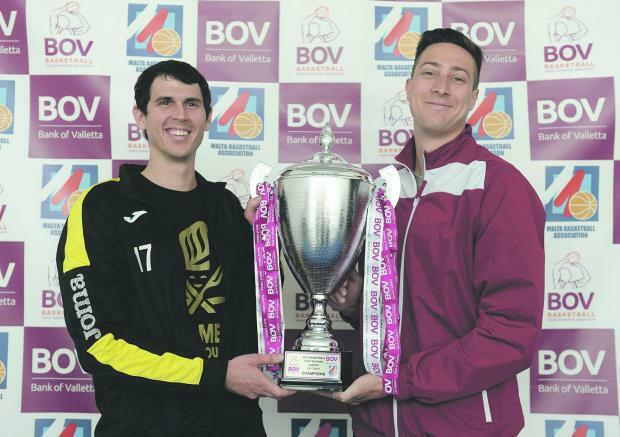 The BOV Men’s League reaches its decisive stage on Sunday when Gżira Athleta and Hibernians will face each other in game on of the play-off final series at the Ta’ Qali Pavilion (kick-off: 4.15pm). This season’s title showdown brings against each other two of the main protagonists in the men’s game as while Gżira Athleta were the top performers in the regular season, after finishing as the undisputed leaders before the start of the play-offs. On the other hand, Hibernians have enjoy Cup success this season, winning a treble of titles after lifting the Knock-Out, the Louis Borg Cup and the MBA shield but have now set their sights on ending a 28-year-wait to win the league title. Ray Muscat, in his first year as Gżira Athleta coach, said that he was looking forward to the final series but shrugged off suggestions that they should be tipped as favourites after finishing the regular season in top spot. “I am very pleased to have led Gżira to the play-off final,” Muscat said. “After a rather difficult start to the season, the team settled down nicely and we improved with every game that we played and that was mirrored by our top position at the end of the regular season. “But come the play-off final series all that was achieved before will mean nothing as the championship will be won on the basis of what both teams achieve during the five-game series. On his part, Gżira’s foreign player Jon Meiler said that it’s difficult to pick a favourite. “I’m looking forward to what promises to be a very tight series,” Meyer said. Nadia Vella, the Hibs general secretary, said that the club are experiencing a very successful season but admitted that winning the league title is ‘what it’s all about’ for the Paolites. “This has been a season of success for our clubs, having won three trophies so far. But winning the title is what every team works for. Winning the title for the title would be a huge achievement as it has been 28 years since we have last lifted the trophy. “During this period, the men’s team had been disbanded and after a long spell in the second division, it was only last season that we started to invest in the side and to reach the final in our second year is a great feat. Chad Patus, Hibs’ import player, is banking on the team’s chemistry to secure his second personal championship trophy, after winning the title with Athleta few years back. “This year’s play-off final series will be a great experience for all of us and I’m sure that it will be a great spectacle for the people who will be coming to watch us,” the Canadian said. On his part, Paul Sultana, the MBA president, said that he is anticipating a very tight final showdown. “We’re looking forward to the play-off final series between two very strong teams and we’re anticipating a very balanced series,” Sultana said. “Although Gżira Athleta have topped the regular season, Hibernians have gone from strength to strength and I firmly believe that this year’s title showdown will be decided in Game 5.